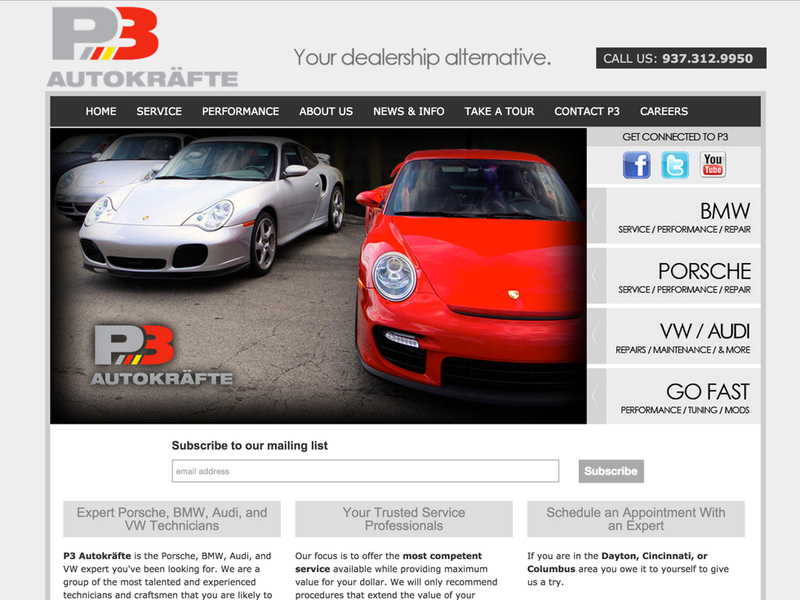 The OmniSpear staff has an addiction to German cars. 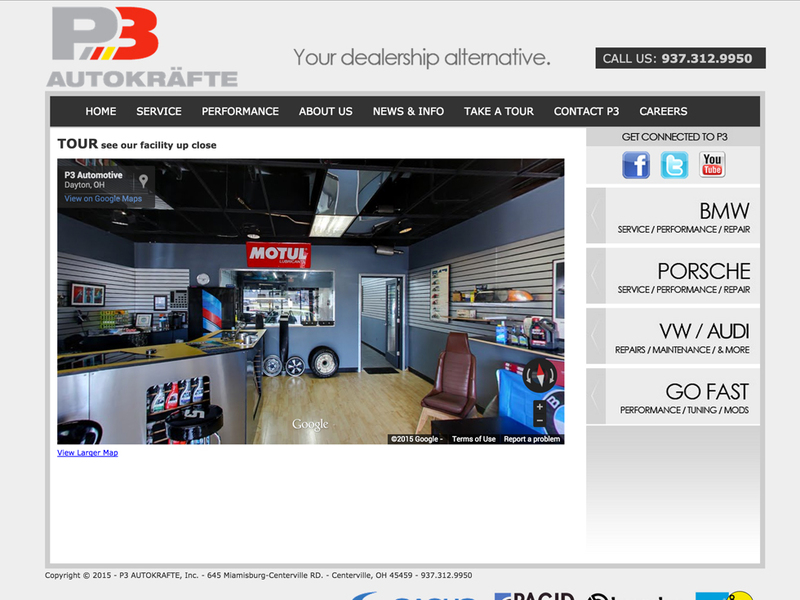 As our go-to mechanic for years, we have been honored to help P3 AutoKrafte enhance their web presence. 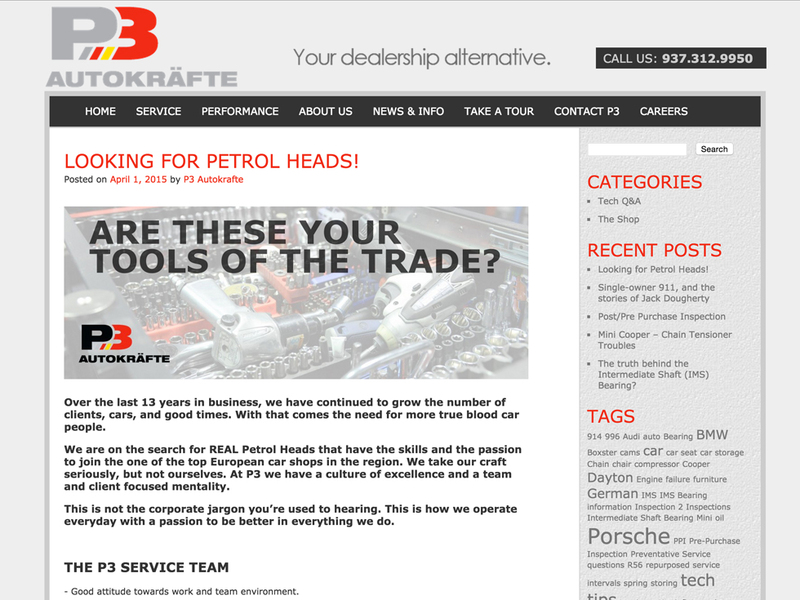 We took P3’s existing website and gave it a refresh-making it SEO friendly, adding blog capabilities, and including an image gallery to highlight some of their work.